In the 1930s a landslide in the center of the city of Jerome is credited with moving the jail house hundreds of feet downslope. In fact, the building was moved to get it on more stable ground. But this spring, part of the landslide started moving again. City officials have blocked off part of a parking lot where large cracks are continuing to grow. [Top, view to the northwest, with Sliding Jail in center background. My photo.] ADOT is monitoring the movement because of the potential for impacts on US 89A. Otherwise there does not seem to be much of a threat to property, in large part due to the city keeping development off the old landslide complex. The interview with Dr. Jon Spencer, Chief Geologist here at AZGS, about his new report on potential uranium-bearing breccia pipes in northwest Arizona is drawing a lot of attention. He and his co-authors project one to two orders of magnitude greater numbers of collapse features, breccia pipes and corresponding mineral resources as currently known. I also talk with former Pennsylvania State Geologist about USGS's revised plans for mineral resource reports. George led a panel discussion at the recent State Geologists Annual Meeting in Flagstaff, on mineral resources. We released our new report yesterday “Partial database for breccia pipes and collapse features on the Colorado Plateau, northwestern Arizona” (http://www.azgs.az.gov/news_releases2015.shtml#jun24) that found concentrations of breccia pipes 10 to 100 times higher than previously known, in two test study areas. Breccia pipes are primary targets for uranium and other minerals. We believe that same density of pipes extends across the entire region, which would make the area one of the largest and richest uranium districts in the world. I interviewed lead author Jon Spencer on our video magazine Arizona Mining Review which was webcast yesterday and is online at https://www.youtube.com/watch?v=PGhJT945Ksw. We will be sharing this report with our congressional members to help them make informed decisions about the proposed Grand Canyon Watershed National Monument. A 1989 USGS study mapped 1294 breccia pipes in the region. 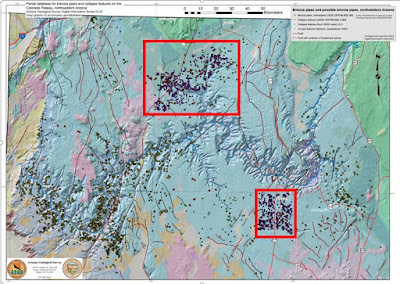 Subsequent USGS maps and new investigations by AZGS identified at least 1,000 additional features in just two small study areas (outlined in red in map above). It appears from this work that the number of likely breccia pipes is one to two orders of magnitude greater than previously recognized. The study raises the possibility that the higher concentration of breccia pipes extends across the entire region. Mineralized breccia pipes—pipe-like masses of broken rock—may contain high-grade uranium ore and variable amounts of copper, gold, silver, vanadium and other mineral ore. More than 71 mineralized breccia pipes have been discovered in the region, and as of 2010, nine of these pipes yielded more than 10,500 metric tons of uranium. Breccia pipes are vertical formations, typically a few tens to hundreds of feet across and hundreds to thousands of feet in vertical extent. The pipes formed more than 200 million years ago within Paleozoic and Triassic rocks over a broad area around Grand Canyon. The pipes formed as groundwater, flowing through Redwall Limestone dissolution breccias and along fracture zones, dissolved more limestone, causing collapse of overlying rocks and possibly creating sink holes. This new map is accompanied by an Excel Workbook database with three datasets. 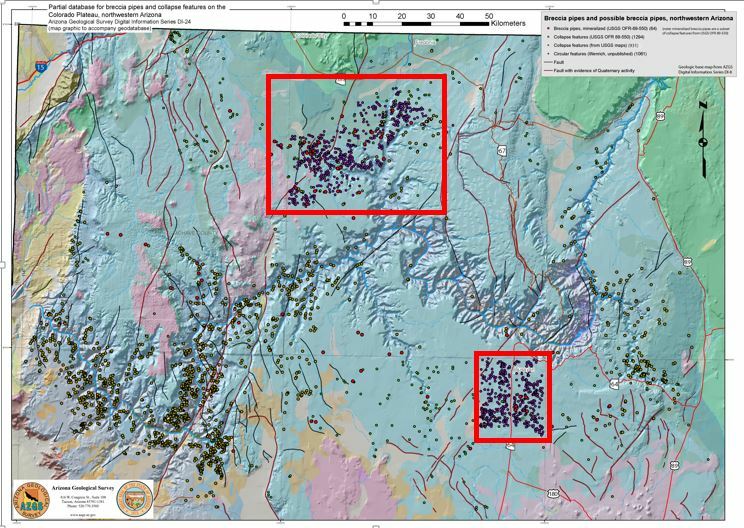 The datasets are drawn from geologic maps produced by the U.S. Geological Survey and from mapping by geologic consultant and co-author Karen Wenrich. The datasets include point locations and comments on features identified as 1) breccia pipes, 2) collapse structures that might be breccia pipes, and 3) circular features that might be collapse features or breccia pipes. Some features occur in more than one dataset, so the total number of features is less than the 3,286 features comprising the three datasets. GIS data as ArcGIS shapefiles built from the three datasets are included with this publication. US Geological Survey geoscientists estimated that roughly 8% of breccia pipes contain some mineralization (Wenrich and Sutphin, 1988). A fraction of those are likely to host economic concentrations of minerals. In 2012, the U.S. Department of the Interior withdrew from mining 1,006,545 acres of federal lands in northern Arizona for a 20-year period to prevent further exploration or development of uranium on those lands. Withdrawal curtails new exploration of breccia pipes and limits production to those pipes with valid existing mineral rights. Spencer J.E., Wenrich, K. and Cole, T., 2015, Partial database for breccia pipes and collapse features on the Colorado Plateau, northwestern Arizona. Arizona Geological Survey Digital Information, DI-42, 5 p., 1 map plate, shapefiles, and Excel Workbook. Wenrich, K.J. and Sutphin, H.B., 1988, Recognition of Breccia Pipes in Northern Arizona. Arizona Bureau of Geology and Mineral Technology, Fieldnotes, v18, #1, p1-5. The Arizona Historical Society has opened a new exhibit in Tucson of the map collection of Robert Lenon. Robert Lenon was a surveyor and mining engineer from Patagonia, Arizona. 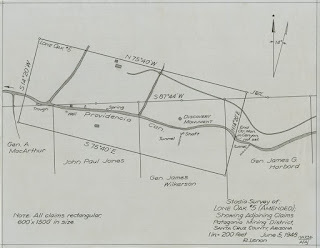 In addition to creating a vast number of maps depicting mining resources in the Sonoran desert region of Southern Arizona and Northern Mexico, Lenon collected historical maps dating back to the mid-1800s. 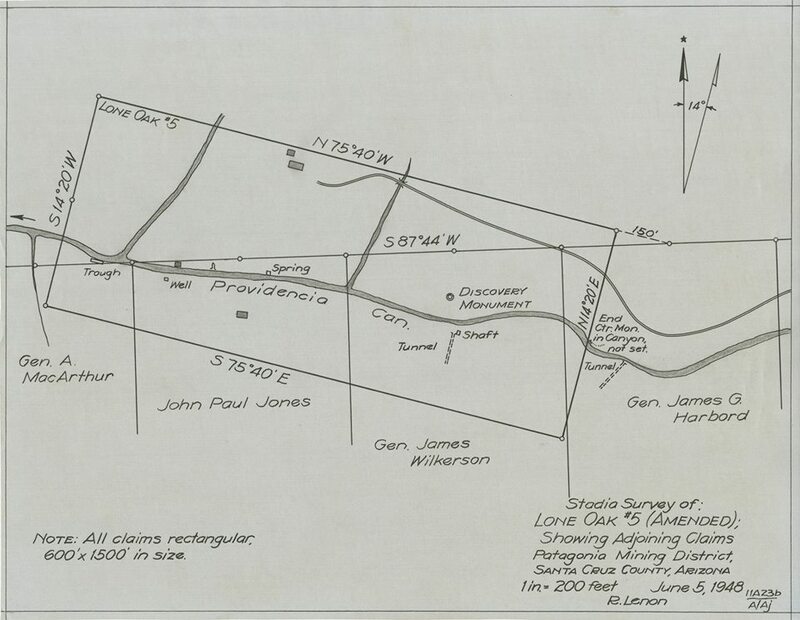 The exhibit features highlights from the map collection and items from Lenon's engineering office. Parking is one block west of the museum in the Arizona Historical Society garage at the northeast corner of E. 2nd Street and N. Euclid Avenue. Use the E. 2nd Street entrance to the parking garage. Parking is free for museum and library visitors (validated in the museum). 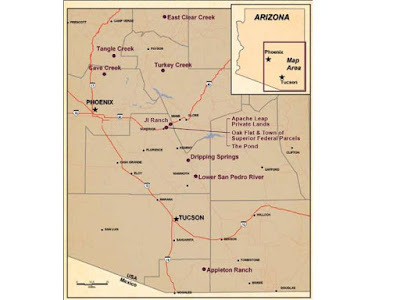 Two Arizona congressmen, Raul Grijalva (Tucson) and Ruben Gallego (Phoenix), introduced legislation to reverse the federal land exchange that is allowing the giant underground Resolution copper mine to be developed near the town of Superior. The land swap was approved last year along with a number of other land actions as part of a large defense bill. 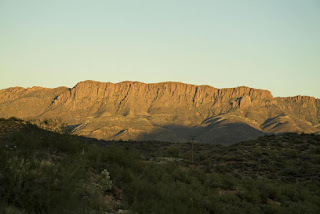 The bill traded 2,400 acres of federally owned land for 5,300 acres acquired by Resolution Copper of private recreational, conservation and cultural lands across Arizona identified by conservation and other groups as priorities. The USFS must complete a FEIS before exchange of the lands. 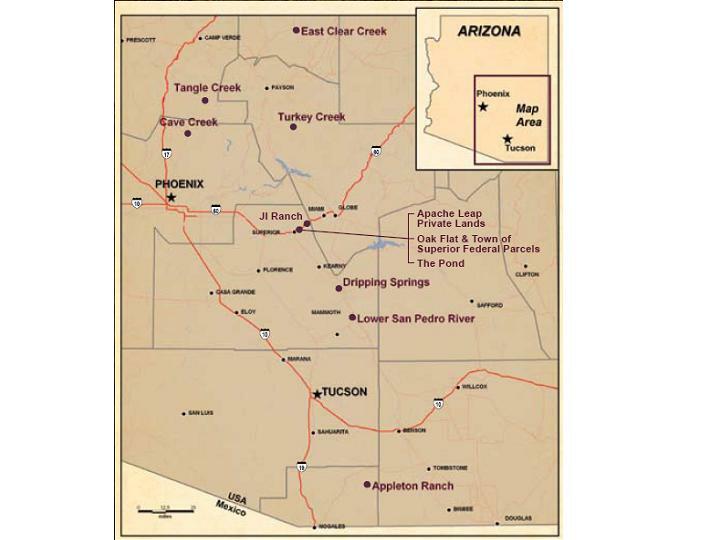 Resolution Copper will convey 110 acres of company owned land, which will be combined with 697 acres of federal land to create the Apache Leap Special Management Area (SMA). This SMA permanently protects Apache Leap and the legislation requires a management plan be developed with stakeholder input. Resolution Copper must maintain public access to Oak Flat Campground (post FEIS) until it is no longer safe. Increase consultation with affected Native American tribes to find mutually acceptable measures to address concerns. Specifically, H.R.2811 would "repeal section 3003 of the the Carl Levin and Howard P. "Buck" McKeon National Defense Authorization Act for Fiscal Year 2015." The post-meeting field trip for the 107th Annual Meeting of the Association of American State Geologists (AASG) went to Petrified Forest National Park and Meteor Crater last Thursday. Park naturalist and paleontologist Adam Marsh led the 50+ participants on a back country hike to an early Triassic 'dying ground' site that he and his team are currently excavating. The dig area was literally covered with weathered-out bone fragments and teeth from a number of pre-dinosaur fauna as well lots of petrified wood. The prime excavation site was exposing more intact materials. Despite the 96F temperature, we had a difficult time getting everyone to leave the stop and hike back to the bus. AZGS hosted the meeting in Flagstaff starting last Sunday and running through Thursday. AZGS is hosting the 107th Annual Meeting of the Association of American State Geologists (AASG) in Flagstaff this week. Over 150 attendees are participating from state geological surveys, federal counterparts, professional organizations, and industry. We have a variety of technical sessions on geoscience topics including induced seismicity, mineral resources, ground collapse, sustainability of state surveys, groundwater, and data preservation. USGS Acting Director Suzette Kimball laid out a proposal for expanded collaboration between USGS and State Geological Surveys on a number of priority areas around resources, hazards, mapping, and environmental topics. A field trip to Grand Canyon on Tuesday, provided opportunities to discuss land use management, geology in national parks, outreach and education, as well as giving the attendees an introduction to Arizona geology. Interesting news item that Wildcat Silver Corporation has changed its name to AZ Mining Inc. The new website is http://www.azmininginc.com/. The company said the change "reflects both the Company's focus on its Hermosa property located near Patagonia in southern Arizona and the poly-metallic nature of the mineralization on the two current projects." Richard Warke, the Company's Chairman and CEO said, "The recently released drill results from the first five holes on our Hermosa North West drill program confirm we have the makings of a potentially significant zinc/lead/silver deposit on our hands. As a consequence, we felt this was the right time to re-brand the Company given its current focus on North West and our history and commitment to mineral exploration in Arizona."